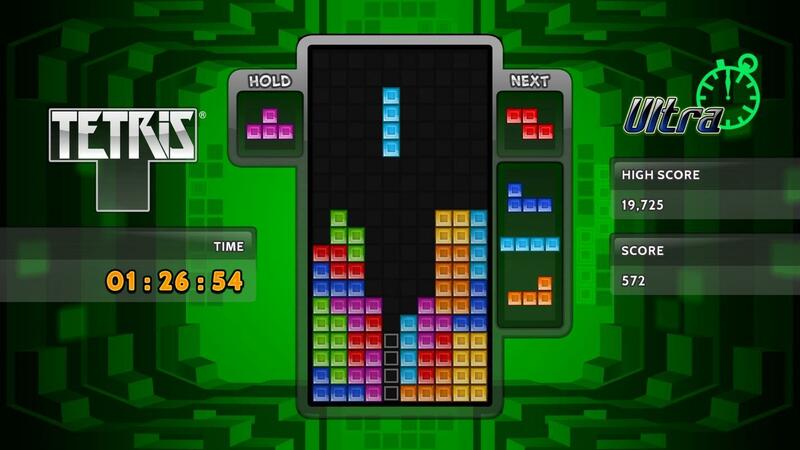 Why practice is the best way to become a Tetris Master. If you’re new to Tetris, you may find the task of clearing lines somewhat daunting. Which Tetrimino goes where, what is a Hard Drop, and what do I do with all of this Garbage? If you’re playing Tetris in multiplayer mode, you may become discouraged as you watch your opponent achieve Tetris Line Clear after perfect Tetris Line Clear in the time that it takes you to eliminate a single line. How did they get so good at Tetris, and how can you get better? When it comes to Tetris, practice does make perfect. In life, repetition is one of the best ways to get the hang of something. If you harken back to your childhood, you’ll remember that the days you spent in school often involved quite a bit of repetition. For example, to improve your handwriting you had to pick up the pencil and write each letter again, and again, and again. To learn to read, you had to start small with picture books and simple words. As you kept at it, you learned to memorize how the words were read, and eventually you grew to read long and complex novels. The same can be said of Tetris, because repetition and memory are essential to mastering the game. When you break it down, Tetris is a puzzle game. There are countless ways in which you can create and clear lines, and finding the method that works best for you comes down to trying different methods and going with what’s comfortable. If you prefer to clear lines one at a time, by all means, go for it! If you’re struggling, you can always hone your skills in a single-player scenario rather than multiplayer. Even if you’re pitted against players of a similar skill level, it’s easy to get discouraged if you lose more often than you win. In single-player, though, you have the ability to figure out Tetris at your own pace. I know the frustration that comes from comparing your personal skills to other players. However, you have to keep in mind that your opponents likely spent the same amount of time honing their craft. Furthermore, there’s nothing wrong with fumbling during the early stages of the learning process. Again, using the school comparison, there was likely one subject you struggled with more than others. For me, that subject was math. It was the thing I came to dread most because I never felt like I was good at arithmetic. In one school, we had these quick 5-minute math tests where you were tasked with running through 20 different math problems. At the end of those 5 minutes, my page was halfway done. The worst part? We passed our papers around for our classmates to grade. So embarrassing! I felt like I was the only one having this much trouble, even when I’d come across a paper similar to my own. Despite this, the more tests I took, the better I got at math because I discovered a new way to approach it… memorization. That’s right, I memorized the answers to each problem rather than going through and writing out the work. This gave me a bit of trouble later in life when teachers wanted me to “show my work,” but it nevertheless boosted my confidence during those dreaded 5-minute math tests. The same method of trying something new can be applied to Tetris. While you may not be proficient at performing combos, you may be a bit more comfortable with other strategies, especially the one where you build a stack and then slam a I-Tetrimino at the end. Or, if you’re having trouble fitting everything together, your mind will eventually memorize where all of the pieces go. Although Tetris is randomized, your goal remains the same: clear lines and prevent Tetriminos from reaching the top of the Matrix. Despite the fact that the order upon which your Tetriminos fall is random, the process of clearing lines remains the same. So, if you feel down because you think that your Tetris skills don’t stack up, we’re here to say that this is completely normal. Just keep practicing, even if this means single-player against the computer. Your skills will improve. All it takes is a little time, patience, and a touch of self-confidence, and you’ll be well on your way to becoming a better Tetris player in no time!